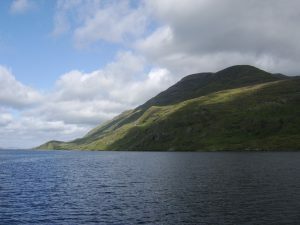 Story #1 relates to my new novel On the Edge of the Loch: A Psychological Novel set in Ireland. I received an email from a reader, a Canadian man, confessing he had ‘fallen head over heels in love with Cilla’, and asking if he were to visit Ireland, what were his chances of meeting a girl just like her. He sounded entirely serious and wrote well. But . . . Cilla is a character from the above novel. I explained that Cilla is exceptional, like most fictional characters, but that some people say Ireland in real life is full of exceptional characters (it is, like no place else on earth!). Nonetheless, I did not want to mislead him or cause him to spend money he might not have. So I added a caveat: I told him that in my experience the right person is often just around the corner, and that if he adopts that view, and acts on it, Cilla might be much closer than he thinks – and that I’d start there. Then one day, who knows, I said, maybe he and ‘Cilla’ would visit Ireland together (Tourism Ireland take note). He hasn’t responded – and might not. So, as we say here, that might be that. On the Edge of the Loch: A Psychological Novel set in Ireland can be ordered from Amazon as an eBook or print book – http://amzn.to/28RRRdt – at reduced launch prices. Next Next post: Imagination and Inspiration: If You Were a Crow or Crocodile or Gorilla . . .